Almost all families of European descent have coats of arms, some dating from as early as the 12th century. 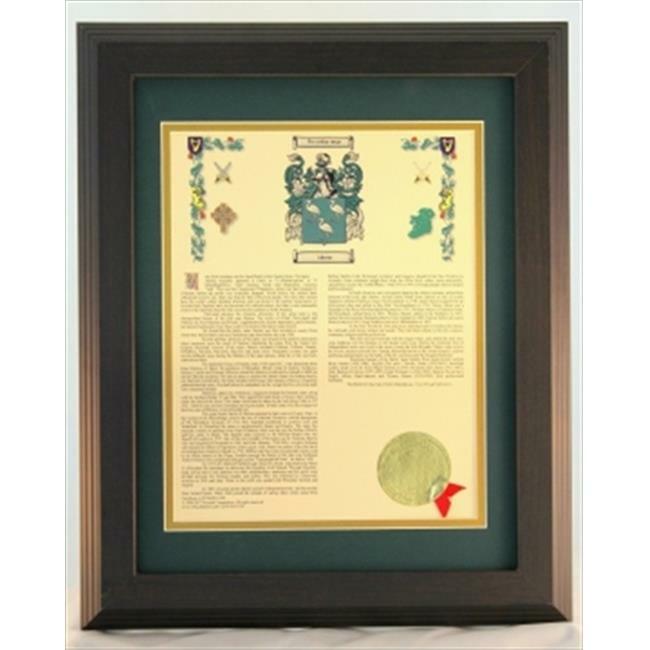 Yours will come with a fullcolor rendition of the earliest coat of arms associated with your name, along with information on the ancient origin of your name, variations, your name through history, noteworthy bearers, and a unique certificate number. Printed on acid-free ivory card stock, double-matted and framed in dark wood under Plexiglas.